Coutinho ended last season with Barcelona in terrific form, but hasn’t been at his sensational best yet this term. In fact, he’s not been an automatic starter under Ernesto Valverde, who has so far brought him off the bench in three of Barca’s seven La Liga games. 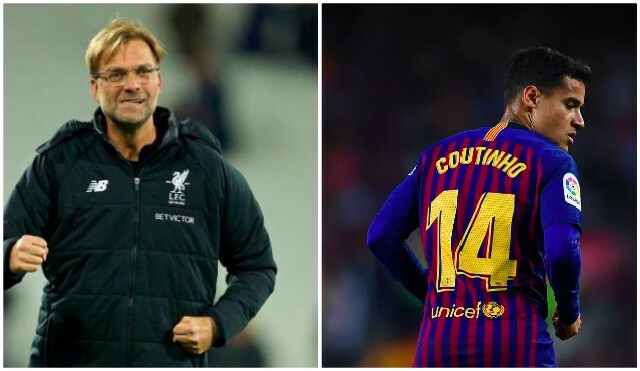 According to Guillem Balague, the issue with our former no.10 is that at Liverpool, Jurgen Klopp encouraged the team to attack as one – collectively and with fluidity – but at Barca – the side is relying on individual brilliance. On top of that, Coutinho’s lack of defensive acumen is affecting Barca centrally, as Coutinho is being predominantly used in a midfield three. “Coutinho, bought from Liverpool for £142m in January, works wells enough in an attacking role, but the club’s midfielders require a more patient ball distribution and the Brazilian’s defensive work needs to improve,” Balague wrote in his column for BBC Sport. Barca are still top of La Liga and won their opening Champions League Group of course, so it’s not like they’re in crisis or anything. But their fans are disappointed with the style of football and the team looks flat without Lionel Messi’s influence – when the Argentine is rested. Coutinho is quite simply world-class and still has two goals this term, so we’re sure he’ll do well again, but the reason we’re penning this article is because it shows how Klopp’s tactics benefit attacking players. Klopp gives three or four offensive stars licence to exchange positions, overload areas of the pitch and break together, regardless of opposition. So far, Liverpool’s forwards haven’t been able to clinically finish chances, but we’re six wins from seven in the Premier League and top of the Champions League Group at the time of writing.